Obituary for Douglas E. Palmer | Wright Funeral & Cremation Services, Inc.
Douglas E. Palmer “Dougie”, 58, of Oxford, PA, passed away Sunday, April 7, 2019 at Jennersville Regional Hospital. Born in West Chester, he was the son of the late Robert F. Palmer, Sr. and Laura (Davis) Palmer. Dougie graduated from the Oxford Area High School Class of 1979. He was employed at Scott's Miracle Grow in Oxford for 38 years. He enjoyed watching science fiction movies and giving gifts to his nieces and nephews. He was known to walk everywhere and would be seen sporting his hi-top converse sneakers. Dougie enjoyed reading the Bible. Over the years, he had attended the Allen AME Church in Oxford along with his family. Dougie loved his family very much and they loved him too. In addition to his parents, he was preceded in death by three brothers: Edward Palmer, Louis Henry Palmer, Floyd G. Palmer; sister, Nancy Palmer and one brother-in-law, Steven Caldwell. 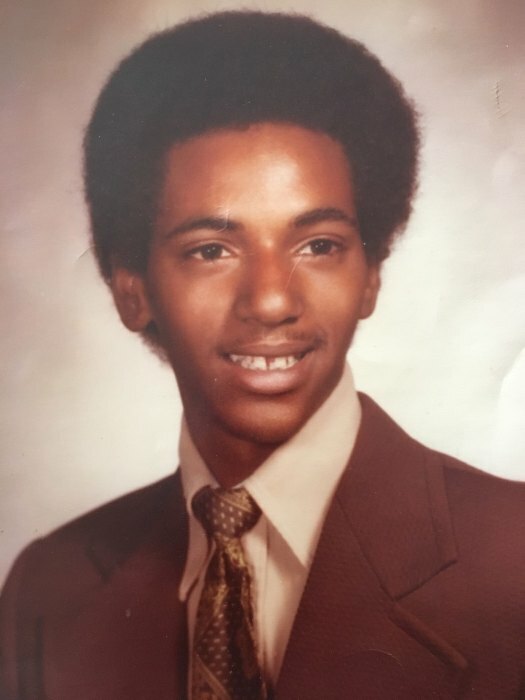 He is sadly missed by his siblings: Terry S. Palmer of Shillington, PA, Barbara A. Johnson (William) of Christiana, PA, Grace I. Rivera (Leonardo) of Landenberg, PA, Robert Palmer, Jr. (Jessie) of Lincoln University, PA., Tracy K. Palmer (Melanie) of Lancaster, PA, Marcia Y. Caldwell, and Jean M. Hall (Frank) all of Oxford, PA; life-long friend, Ida Twyman and a host of nieces, nephews, aunts, uncles, cousins, and friends. Services are planned for 11 AM, Friday, April 12, 2019 at Shiloh Presbyterian Church, 42 South Fifth Street, Oxford, PA 19363. Viewing will begin at 10 AM. Flowers can be sent to the church on the service day. Condolences for the family can be shared on the online guestbook.